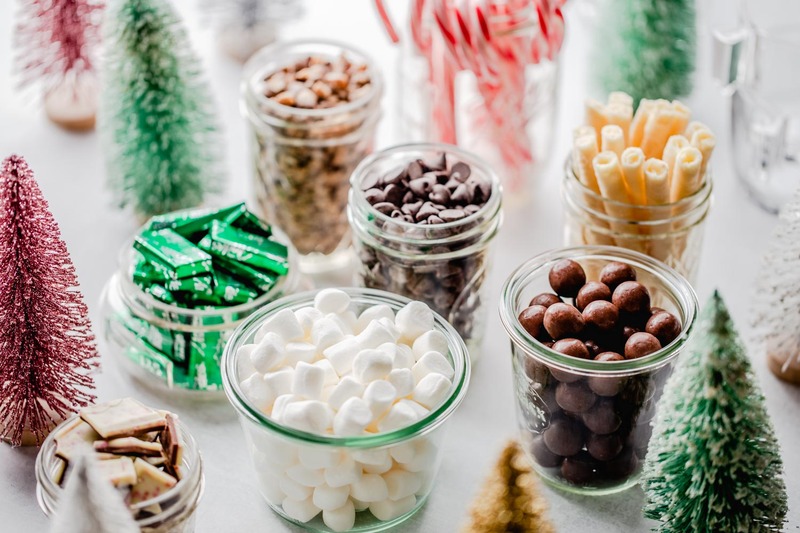 Then, let guests stir in all the fun candies and flavors to customize their cup of hot chocolate! 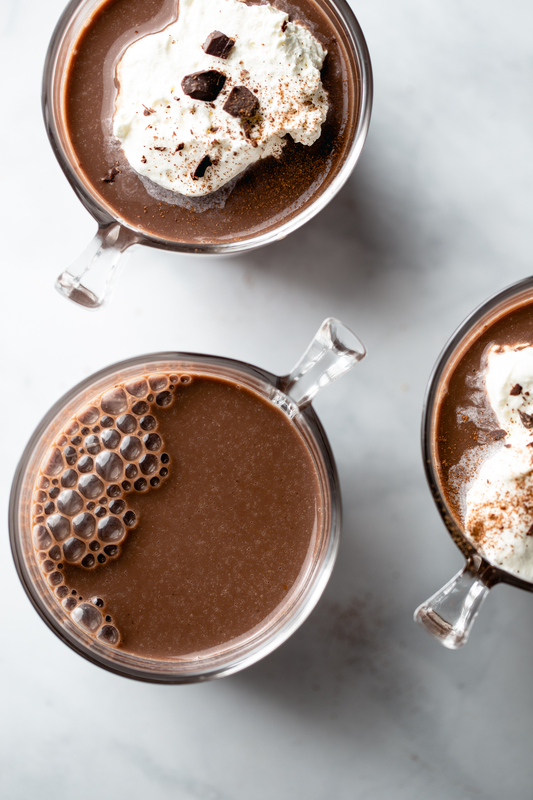 Seriously, this is the easiest and tastiest way to have hot chocolate. Serve all of your fixings in jars with lids so when the party is over, you can pop on the lids and save all of the toppings for the next party. Which if you are me, will likely be within the next couple of days. 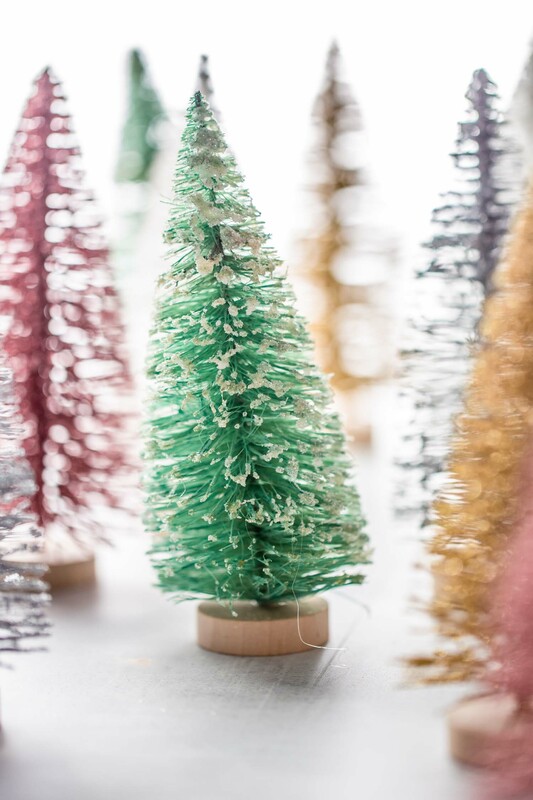 And to finish off your festive ultimate hot chocolate bar, raid the cute bins at Target again for all of the most adorable bottle brush trees you can handle. I’m not sure what I’d do without those bins. Let’s hope we never find out, ok? Make hot chocolate using whole milk and a premium mix. 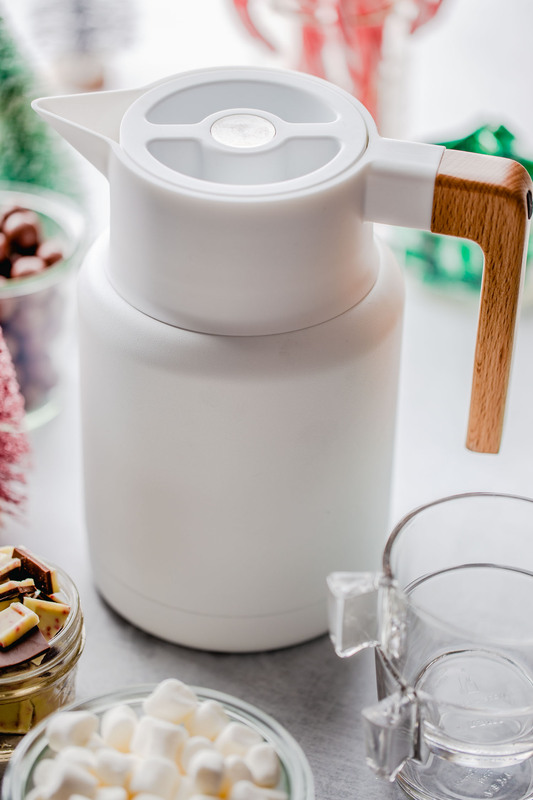 Make enough for your guests and decant hot chocolate into a thermos or insulated pitcher. Place all fixings in jars. 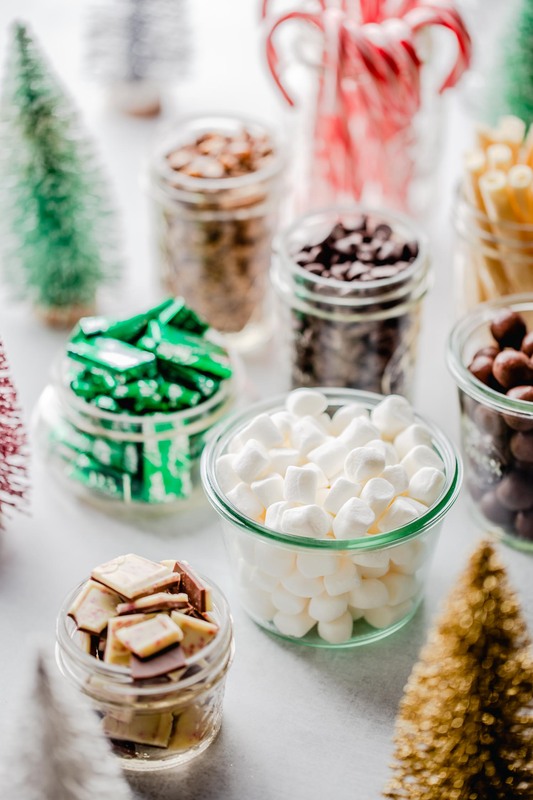 Arrange all toppings on a cute table with some simple holiday decorations. 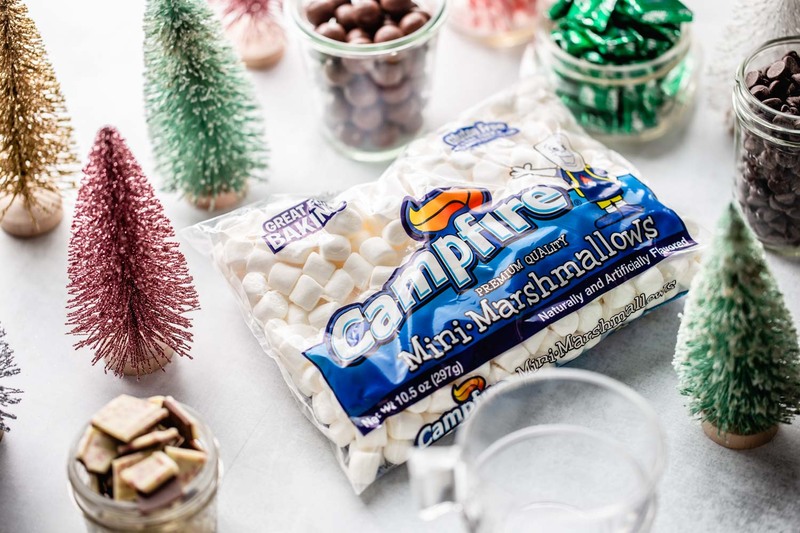 Serve with whole milk hot chocolate and allow guests to customize their own cup with add-ins.